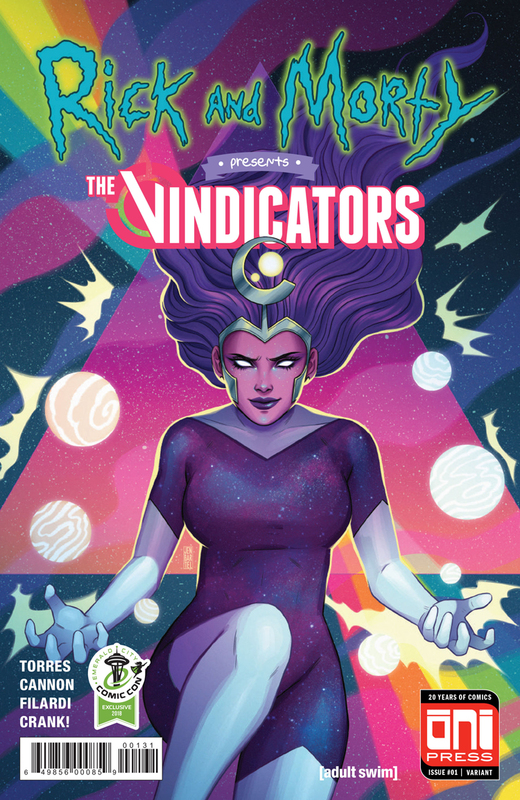 An Emerald City Comic Con 2018 exclusive variant of RICK AND MORTY PRESENTS: THE VINDICATORS #1 by J. Torres and CJ Cannon with Nick Filardi. This convention exclusive is illustrated by Jen Bartel (Storm)! Available at Oni Press booth #216. 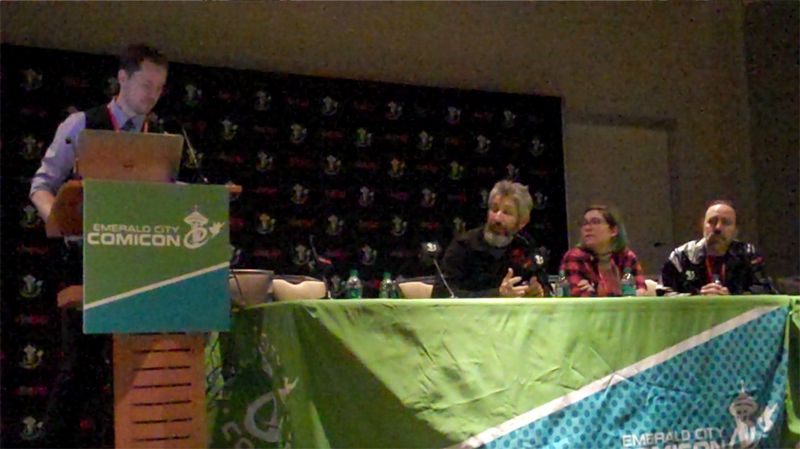 Emerald City Comicon is and integral part of the fabric of Seattle. It is a tradition that has grown and developed into an impressive and highly anticipated annual event. 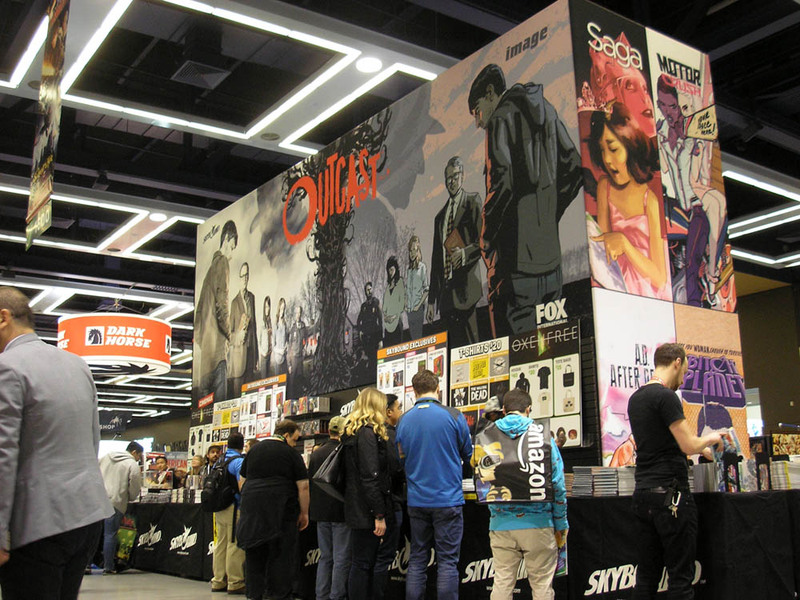 ECCC is one of the first, if not the first stop, for many creatives as they embark upon their comics convention tours–and a most welcome one. That has a lot to do with ReedPOP‘s leadership. And, of course, it has a lot to do with so many loyal fans of a uniquely Pacific Northwest celebration of pop culture. Maybe folks are more polite and mellow in this region. We won’t dissect it any further and just be grateful. Now is the time to get ready and to keep an eye out for updates on all things ECCC. 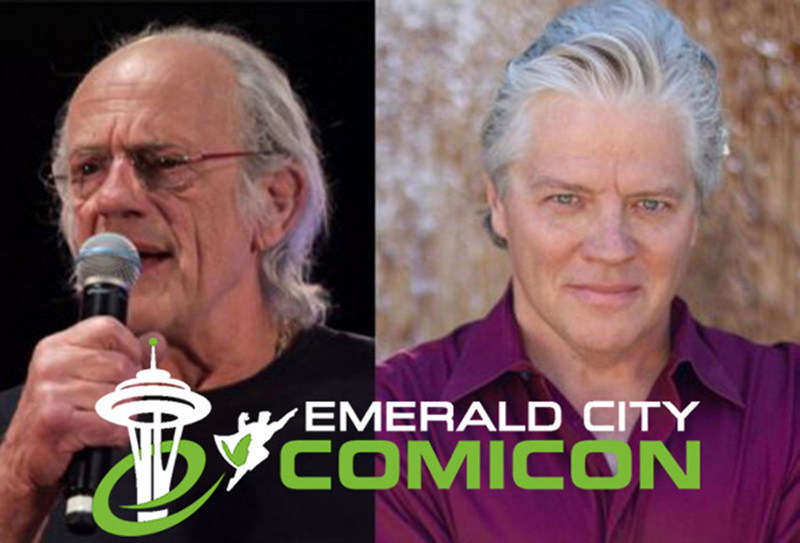 Whether it is a chance to see two of the legends from “Back to Future,” Christopher Lloyd (Doc Brown) and Tom Wilson (Biff Tannen) or a favorite talent at Artist Alley, there is something for everyone at ECCC. As usual, Comics Grinder will venture out and report back from various panels, activity on the showroom floor, and whatever should catch the eye. If you are in Seattle, and love comics and pop culture, then make sure to be part of Emerald City Comicon. Dan Dougherty is an award-winning author and illustrator. He is known for his humor comic strip, BEARDO, as well as various genre comic books. 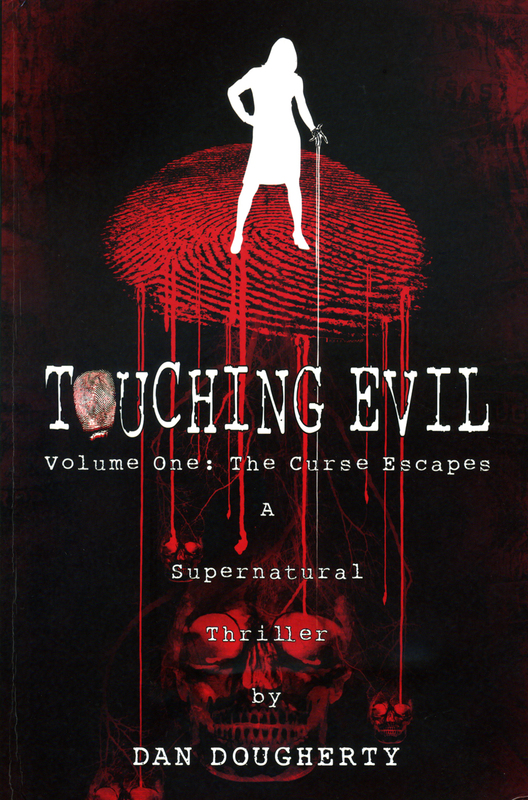 TOUCHING EVIL is an ongoing supernatural thriller series. It has an otherworldly quality about it that will compel you to keep reading. Dougherty has recently collected the first seven issues into one volume. Here is a taste of what you can expect in the following review. 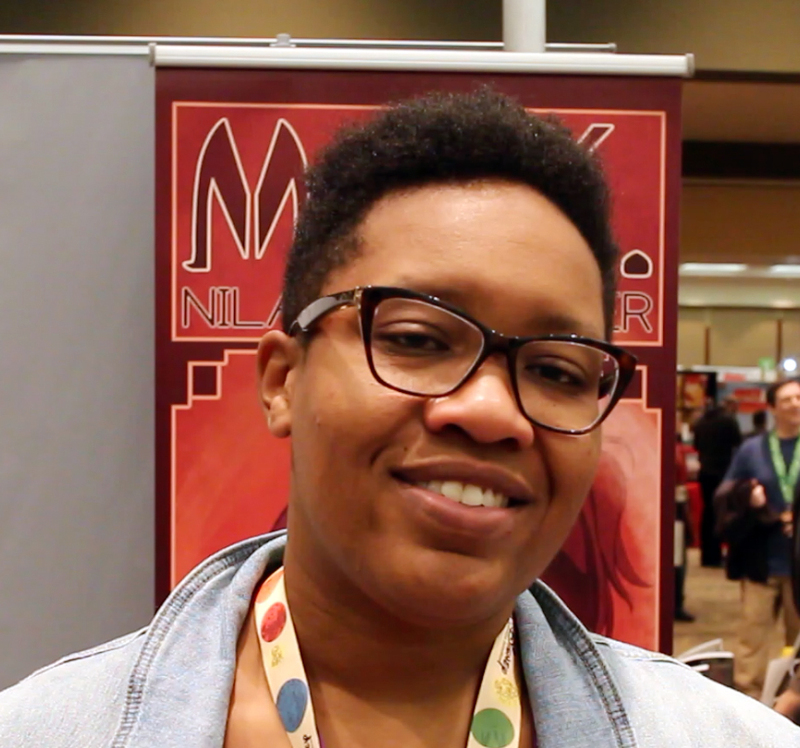 I also got a chance to chat with Dan for a bit at Emerald City Comicon and we did a quick video interview that you can check out at the end. Getting back to TOUCHING EVIL, there is much to say. First off, Dougherty has an uncanny way, both with his writing and his drawing, of calibrating a moment. Let me set this up. Our main character, Ada, is a beautiful and vibrant woman in the prime of life. She has a promising career as an attorney. She has a teenage son. And then, one day, she is assigned a task that results in a tragic outcome of supernatural proportions. When this happens, it seems oddly inevitable. 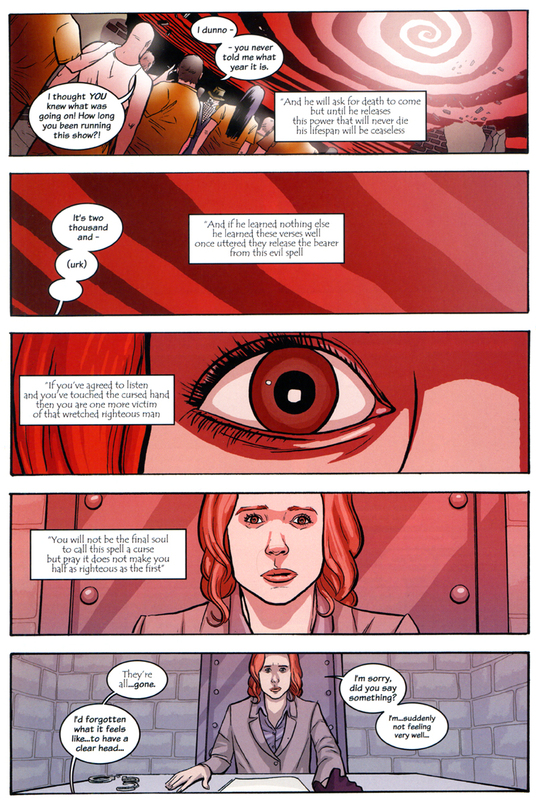 Essentially, Ada has the power of life or death over anyone with dark intentions. She touches them. They die. 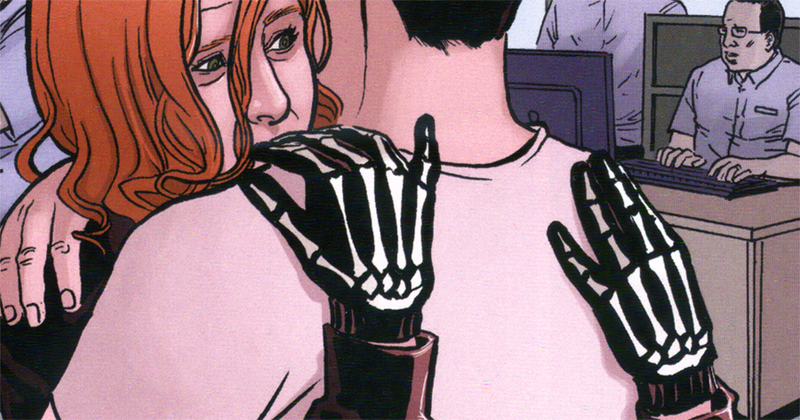 Meanwhile, her son has taken to wearing these black leather gloves with skeleton fingers. All this leads up to a pivotal moment: in order to secure she doesn’t accidently kill her own troubled son, Ada manages to slip on her son’s gloves before she hugs him. This is one of those masterful Dougherty moments: a sorrowful mother, her skeletal hands resting on the back of her son. This is some wild story, if I haven’t made that clear yet. It gets under your skin, burrows its way in. Think The Twilight Zone meets Breaking Bad. It’s a certain vibe that hooks you in. Dougherty revels in well-placed details that later on elaborately blow up. A key aspect to the curse that Ada inherits is that anyone who she ends up executing by touch is a new soul who inhabits her mind. 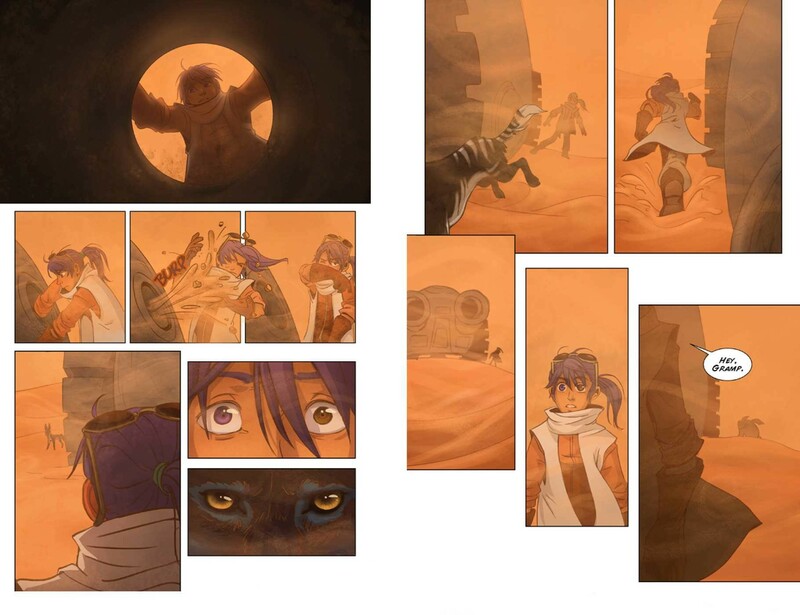 The death count mounts, as you may expect, and it gets crowded in Ada’s head. There’s a play within a play going on. 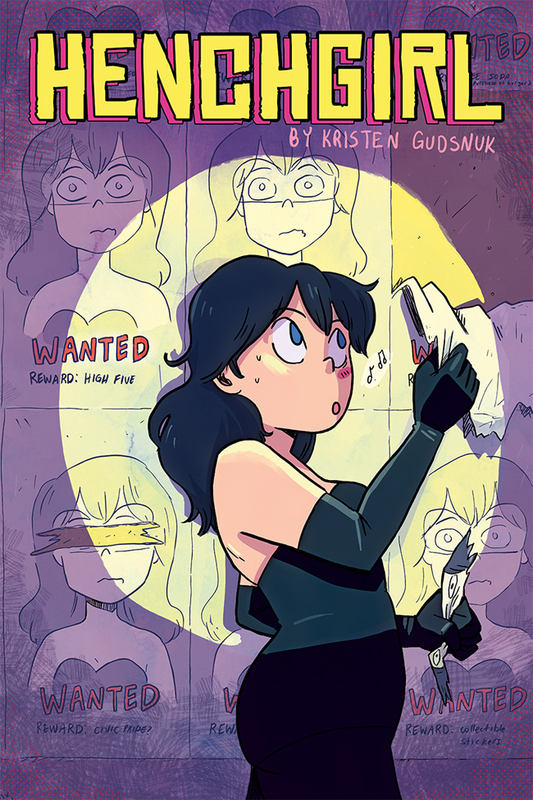 Or you can think of it as a horror version of “Being John Malkovich.” Parts horror, cerebral, and offbeat humor, this is a highly engaging graphic novel. And I get back to how Dougherty draws. His style is clean and crisp. Dougherty can make you believe you’re in a scary penitentiary and you’re walking down to its scariest section, The Ghost Room. He will make you believe in ghosts, demons, and being trapped in hell. 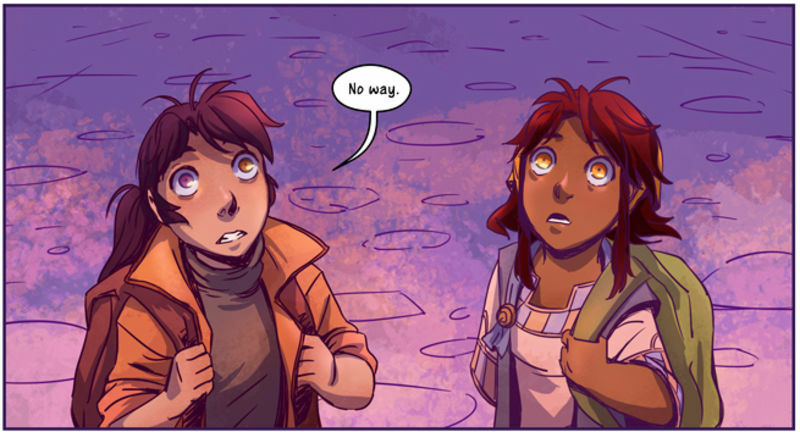 And, without a doubt, you’ll get wrapped up in Ada’s plight. 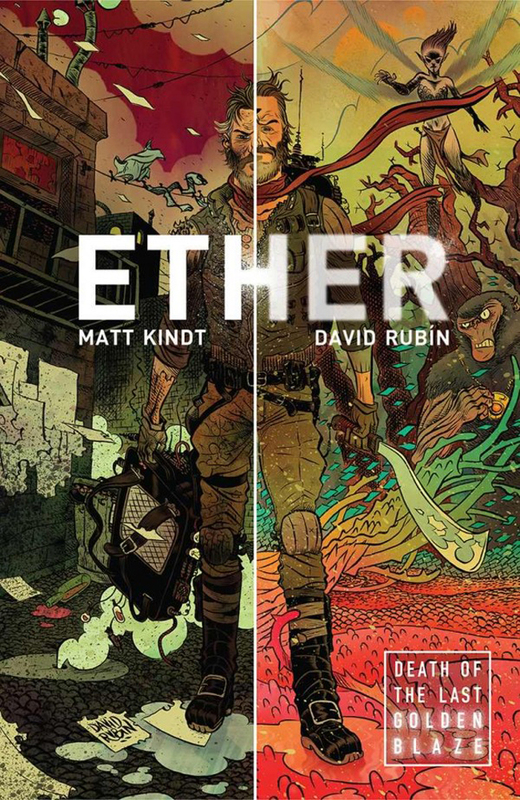 Dan Dougherty is one of those talents in comics who is doing everything right. Well, that’s certainly an understatement. Whatever Dougherty does, it is going to continue to work out well. Maybe he’ll just follow a Jeff Smith model and keep building up what’s he doing on his own. He is an exciting talent and I highly recommend that you seek out this very intriguing work. TOUCHING EVIL VOL. 1: THE CURSE ESCAPES is a full color 240-page graphic novel written and illustrated by Dan Dougherty. This limited edition 240-page hardcover collects issues 1-7, as well as a never-before-seen bonus story, pinup gallery with art from Ryan Browne, Andrew Dimitt, Tom Kelly, and Doug Klauba! Read “season one” of Touching Evil in its most beautiful presentation! Visit Dan Dougherty right here. Daniel Warren Johnson is a freelance illustrator based in Chicago. 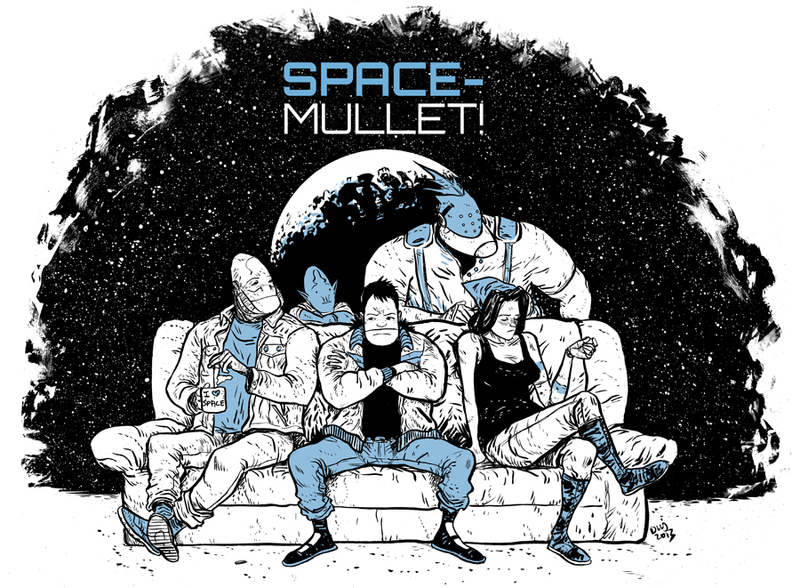 Johnson’s webcomic, SPACE-MULLET, launched in 2012, got people’s attention. It is a quirky sci-fi tale following the adventures of such characters as Jonah, a stranded Space Marine from United Earth, and Alphius, a huge Zozobian who uses too much toilet paper. 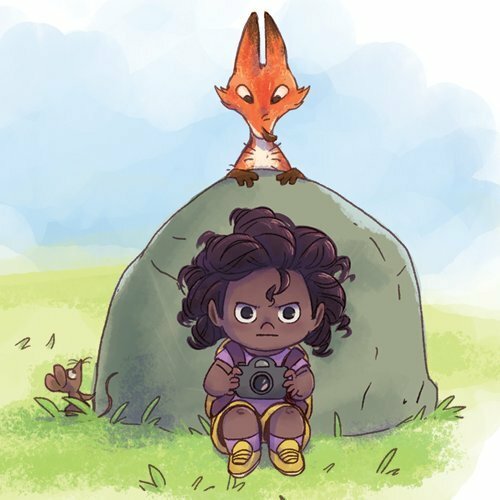 As Johnson told me, the whole experience of maintaining a webcomic turned out to be the perfect way to demonstrate to publishers how he navigates through a story. 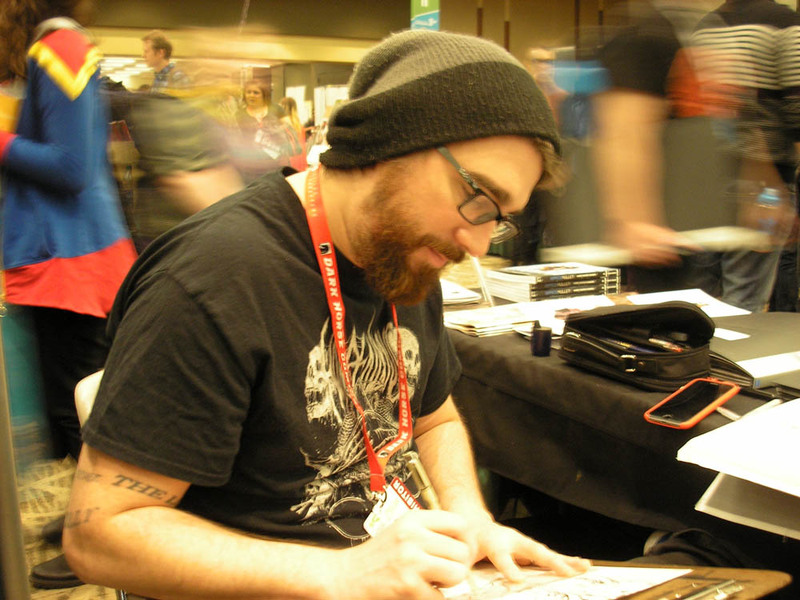 This process would lead him to the helm of his own comic book series, EXTREMITY, published by Skybound Entertainment, an imprint of Image Comics. The world of EXTREMITY, as Johnson states, is “visually stunning in keeping with the characters.” This is a barbaric and futuristic landscape. Think Mad Max. It is a world of extremes. Johnson’s writing process focuses on the characters first and builds out from there. At the forefront, is Thea, from the Roto Clan, who has been horribly wronged by the Paznina. What makes this story different from a typical revenge tale, Johnson told me, is that it is not just one person dealing with what happens next but an entire village. Story is everything. Johnson’s method is to write out a script first, let that settle in, and then pursue the artwork. He says he could storyboard the whole thing out but it’s getting that script down that proves to be the most efficient. Johnson has a very disarming personality. He has an immediate and direct way about him. As I sat in with him for a bit at Emerald City Comicon, he worked on some art while always engaging with visitors. “I invite folks to ask me anything,” he says. One thing that Johnson has become known for are his portraits where he renders his subject as a zombie. So, if you should meet up with Johnson, maybe you should ask him to draw you as a zombie. Take a closer look at Johnson’s artwork and you’ll find that extra attention to detail. Johnson thanks an extensive art training background starting out when he was a kid and getting private lessons from a kind but determined Italian woman named, Rosetta. “I watch out for the details. If I’m going to draw a car, for instance, it is definitely going to look like a car.” But, for what finally got him where he is today, that he has to thank his wife for. Sean Mackiewicz is the Editorial Director of Skybound Entertaiment who oversees all comics titles, which include the upcoming EXTREMITY and REDNECK and Robert Kirkman titles THE WALKING DEAD, OUTCAST, and INVINCIBLE. I got a chance to chat with him for bit. He is the perfect person to provide a quick tour of Skybound Entertainment. So, what is Skybound Entertainment? Well, most of you out there are familiar with THE WALKING DEAD, right? Robert Kirkman had a dream of bringing back, in a whole new way, the old black & white horror movies, especially zombie movies, he loved watching on Saturday morning television as a kid. His unique slant on zombies was thinking of a way to keep the story going, turning it into a ongoing saga. One thing led to another and THE WALKING DEAD, pardon the pun, came to life! THE WALKING DEAD comic book series was created by writers Robert Kirkman and Harry Schofield and artist Tony Moore. In 2003, Image Comics began publishing it. 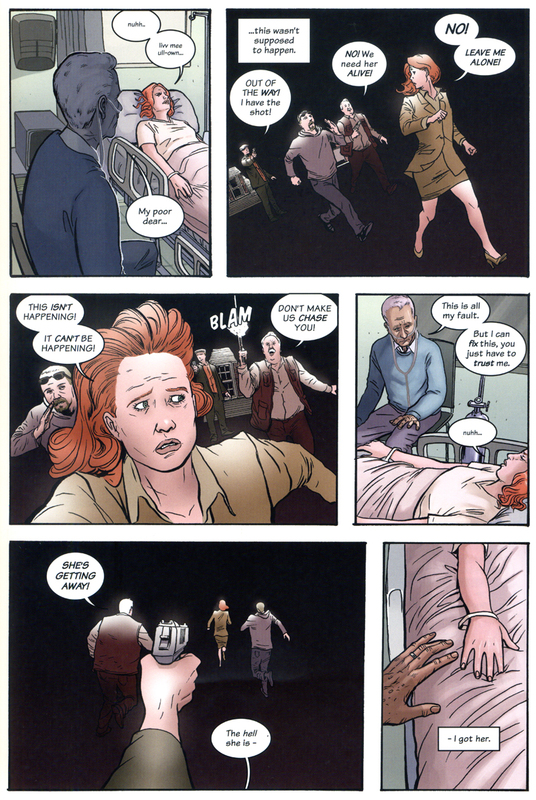 By 2008, Kirkman was a partner with Image Comics. By 2010, Kirkman was heading up his own Image Comics imprint, Skybound Entertainment. Skybound Entertainment is a place to showcase a wide spectrum of titles by Robert Kirkman as well as like-minded creators. It’s a unique place for creator-owned work to be shown to the world and to grow to its fullest potential. At Skybound, you have an assortment of comic book titles with character-driven, horror, and dark fantasy themes. 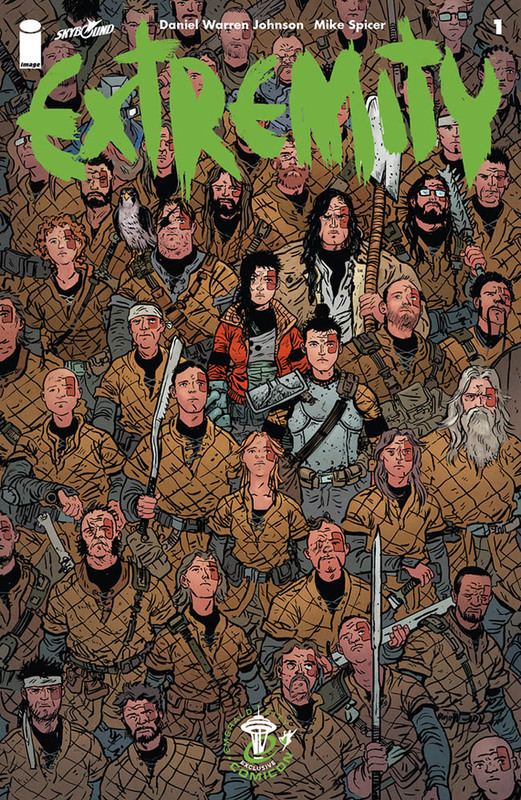 Among the roster of Skybound titles: EXTREMITY (first issue out March 1at), by writer and artist Daniel Warren Johnson; and REDNECK, a horror comic written by Donny Cates and drawn by Lisandro Estherren, that will hit stores on April 19th. To round out the picture a little more on Skybound Entertainment, I asked Mackiewicz if he could describe a typical day in his role as Editorial Director. He said that no day was typical but each day could see him overseeing comic book titles, developing new titles, and developing merchandise that uniquely fit a creator’s vision. 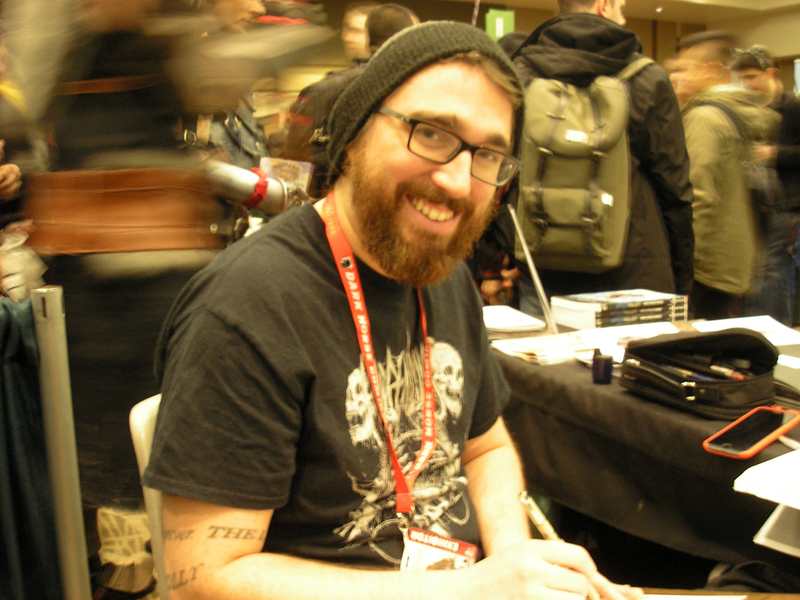 Regarding EXTREMITY, Mackiewicz expressed his deep admiration for the talent of creator Daniel Warren Johnson. “It’s not that often you find someone so good at both writing and drawing. Daniel is a unique talent,” said Mackiewicz. Daniel Warren Johnson proved to be one of those singular talents that started creating buzz with his online work as well as his drawing portraits of people as zombies. Now that you have a better picture of what’s going on at Skybound, consider Robert Kirkman’s OUTCAST. This is one of the titles that seems to be on a similar path as THE WALKING DEAD with a successful comic resulting in a successful television show. This Southern Gothic may hook you if it hasn’t already. A loyal fan base awaits Season Two this April on Cinemax in the U.S. and on Fox in the U.K.
For more details, visit Skybound Entertainment right here. 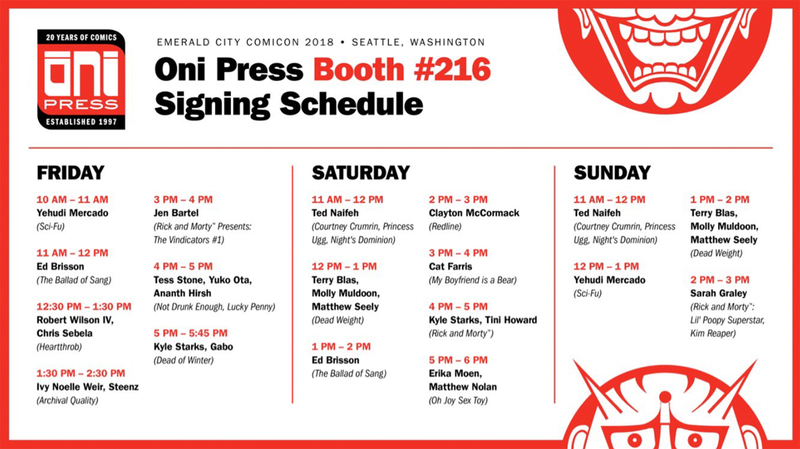 And, if you are going to Emerald City Comicon, there are a number of Image Comics panels to attend including a rare gathering of all the original Image Comics founders on Friday. This is at 1pm at Main Stage – WSCC 4A. 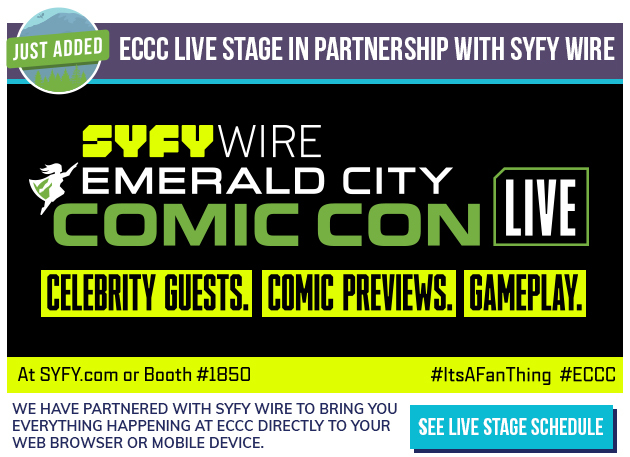 Regarding Skybound in particular, on Saturday, starting at 12:30pm, there will be two panels taking place on Twitch’s ECCC Live stage. If you can’t attend ECCC, you will be able to view them on Twitch. 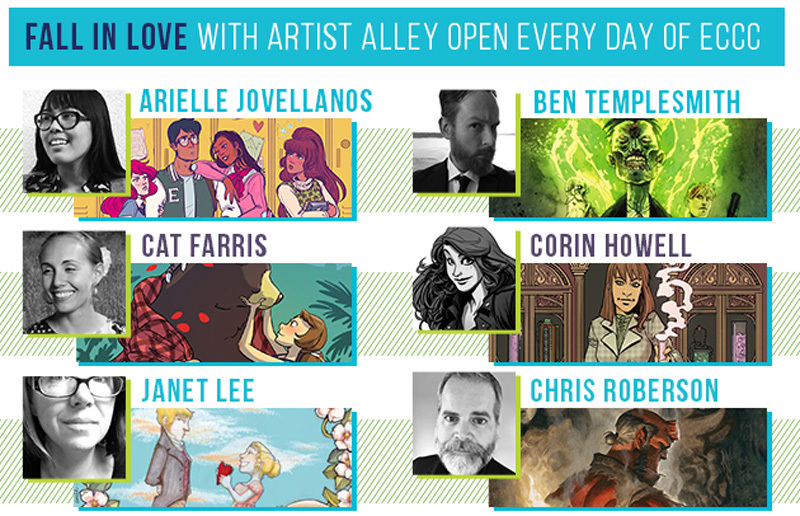 For more details, visit Emerald City Comicon right here. 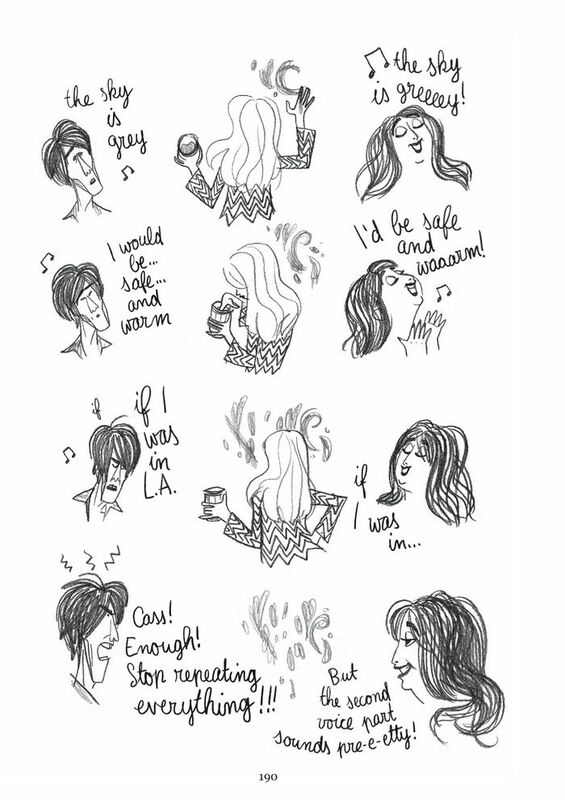 What a truly delightful book I have to share with you: “California Dreamin’: Cass Elliot Before The Mamas & the Papas,” written and drawn by Pénélope Bagieu, published by First Second Books. This is quite a smooth read. It sort of feels like a film shot in one continuous take. The story seamlessly moves along at a quick and steady pace. I could not put down reading this unique life journey and read the 272-page graphic novel in one sitting. 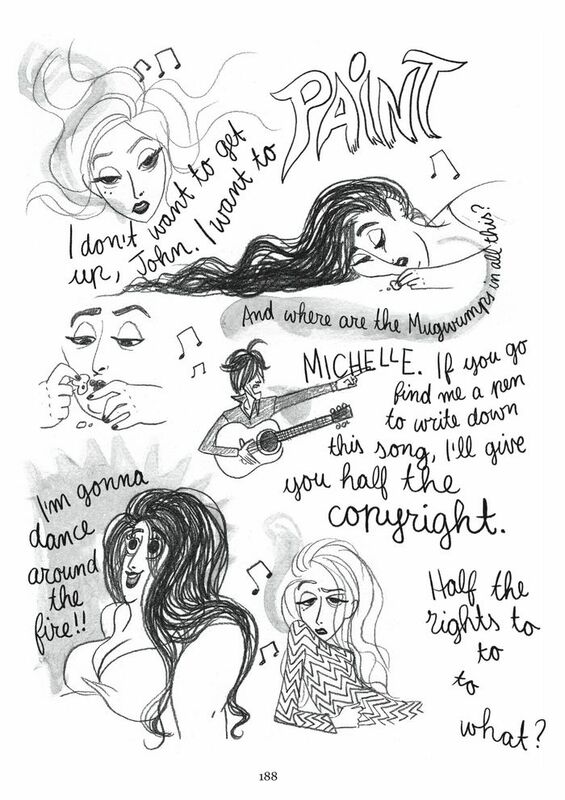 Cartoonist Pénélope Bagieu has channelled the one-of-a-kind Cass Elliot! 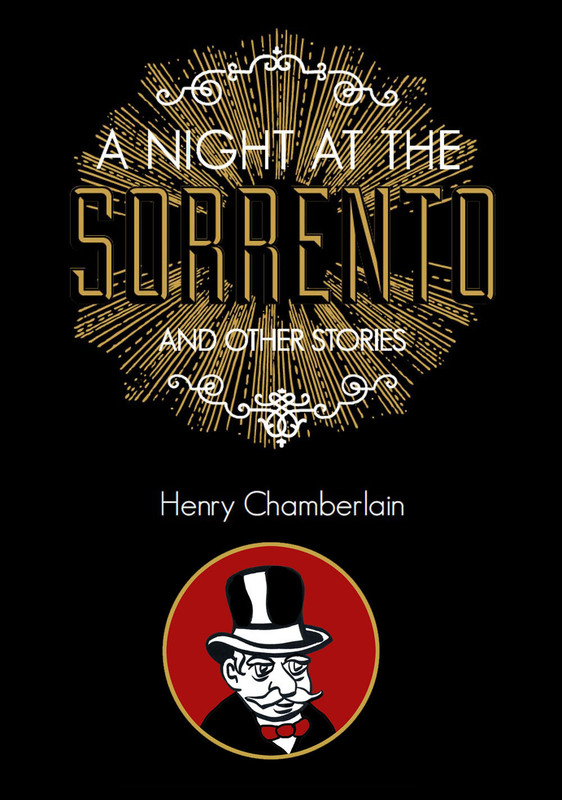 Part of what makes this book a page-turner is the highly engaging art. Bagieu has fun with brining Cass Elliot to life, from an insecure but highly precocious little girl to a defiant young woman and, finally, to a confident artist. 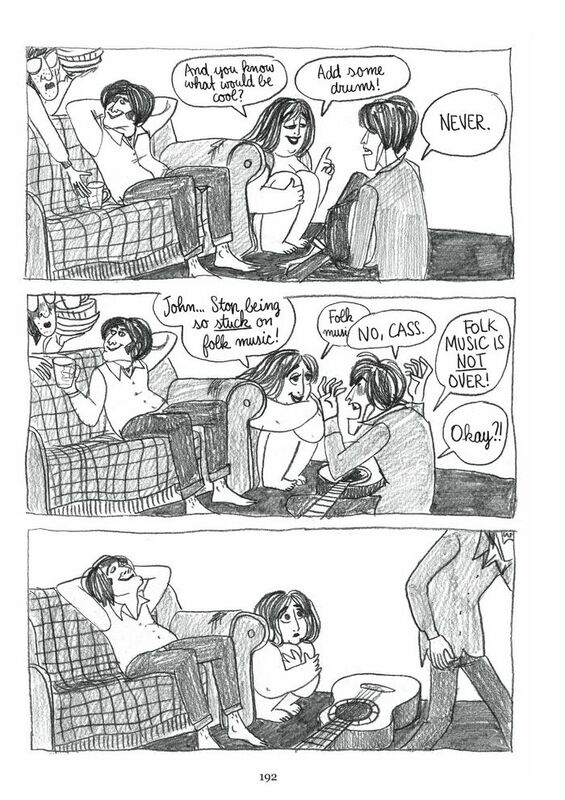 It all began with a quirky family that adored music. Before there was a Mama Cass, and the legendary band of the Sixties, The Mamas & the Papas, there was little Ellen Cohen being tucked into bed while her dad recited the story of the eccentric singer, Florence Foster Jenkins. There is clearly a passion here for the subject that makes the narrative dance on the page. By the time we reach the point where Cass and her bandmates are crafting their first breakout hit, not yet even aware of the band they were destined to be, we feel that we really know everyone involved. 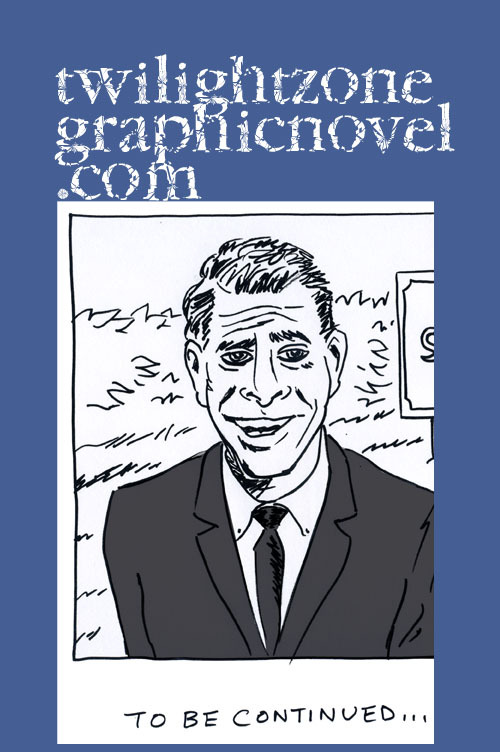 I’ve often said that the right biography can make the best subject, and is most suitable, for a graphic novel. There is a wonderful opportunity to speak to everything under the sun, guided by a specific purpose, and allowing for at least a hint, maybe more, about the author. 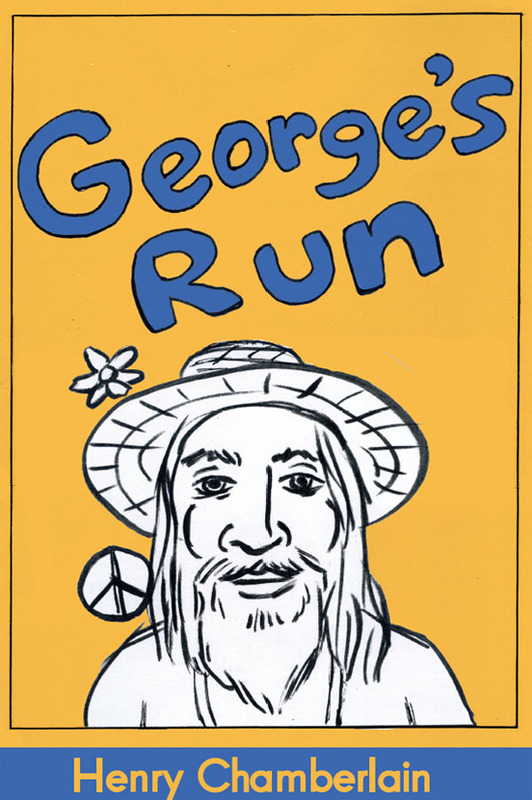 This is a book that will appeal to many a music lover and student of the counterculture. It is essentially an all-ages book but just keep in mind there are some discrete drug references more suitable for older readers. This is rock ‘n’ roll, after all. That said, it is highly recommended and will prove an engaging read on many levels: coming-of-age, rock history, and just a plain fun read. When we think back to the Sixties, we inevitably associate the powerful music that grew from that tumultuous era. Folk music, springing forth from the 1950s and the Beat Generation, would give way to the Sixties and bolder and more audacious pop and rock. It was Cass Elliot, with her sublime singing, and overall exceptional musical talent, who would ride this new wave of music with a style all her own. 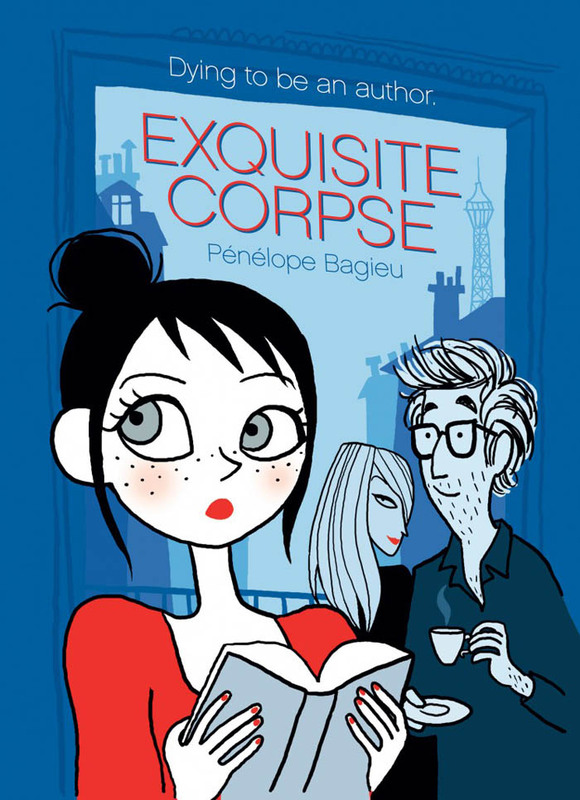 Pénélope Bagieu’s graphic novel gives us a compelling look at the rise of this singular talent. 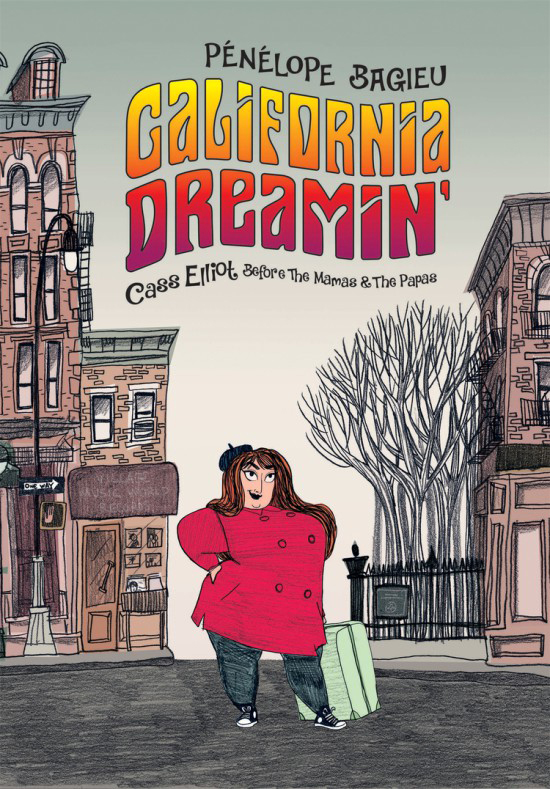 “California Dreamin’: Cass Elliot Before The Mamas & the Papas” is a 272-page hardcover, black & white with gray tone graphic novel, available as of March 7, 2017. For more details, and how to purchase, visit MacMillan Publishers right here. 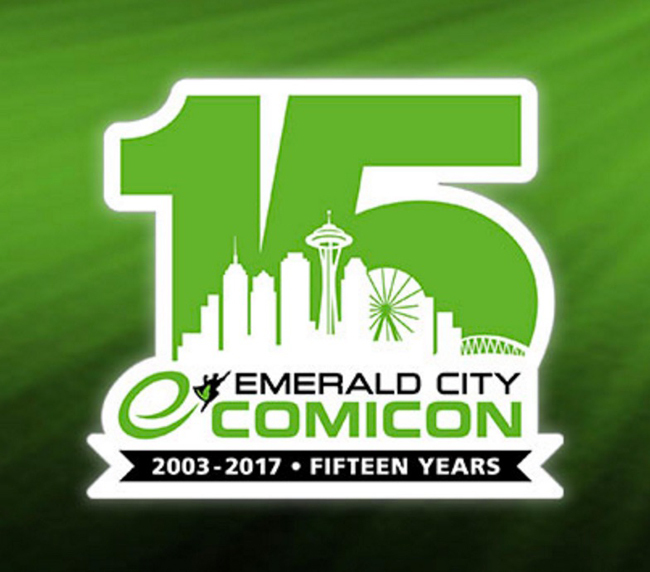 Emerald City Comicon celebrating its 15th year! And, if you are heading out to Emerald City Comicon (March 2-5), be sure to stop by at the First Second Books booth #1602 on the exhibit floor. This will be the place to meet authors, attend free signings and find giveaways of books, advance reader copies, and exclusive print posters. If you’re into books and graphic novels, then First Second has something for you! 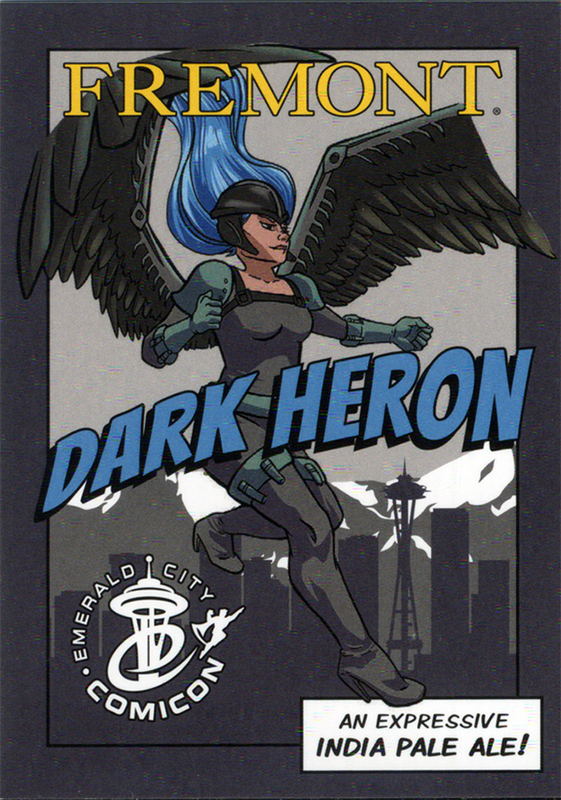 For those of you in Seattle, or heading out to Emerald City Comicon, you will want to make sure to visit Fremont Brewing in Seattle’s quirky Fremont neighborhood (1050 N 34th St) and get yourself the official ECCC beer, the Dark Heron. Kick back and get it on tap or in a bottle for later. How does the official beer of Emerald City Comicon taste? Well, here are my thoughts. It has what we love about India Pale Ales: that robust citrus flavor and a hint of melon. What would bring me back to this beer is its overall juicy flavor. Bringing in Fremont Brewing’s own mascot into the title of this beer raises the stakes and this beer lives up to its name. How about the snazzy artwork? The art is by local cartoonist Jen Vaughn. Dark Heron looks like she can hold her own with any villain. The trading card (nab one if you see one) says that Dark Heron was exiled from her flock for daring to express herself differently from the rest of the group. I’d be totally into reading about her adventures! SPECIAL EMERALD CITY COMICON NOTE: Jen Vaughn will be tabling at #T15, so come find her for new Avery Fatbottom: Renaissance Fair Detective #2 and some Fremont Brewing label art for Dark Heron! 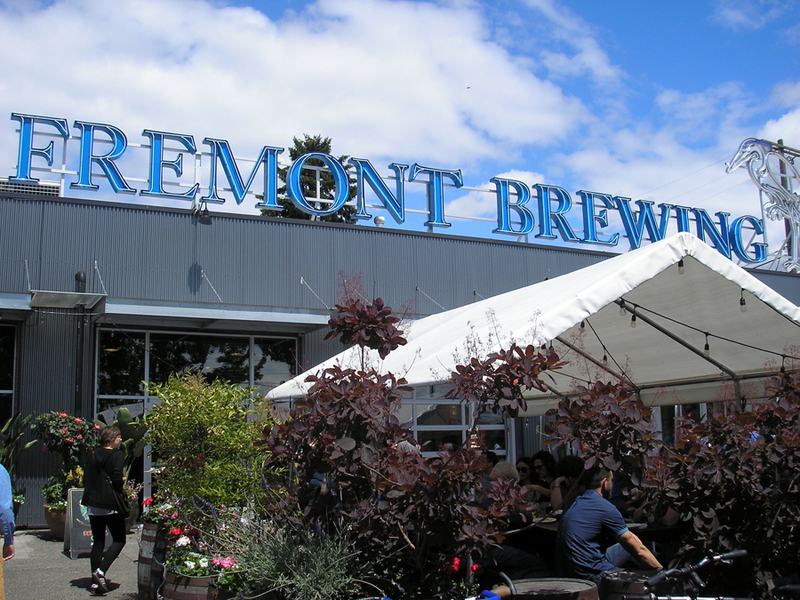 So, get ready for Emerald City Comicon (March 2 thru 5) and come visit one of Seattle’s favorite spots for beer, Fremont Brewing. It’s a great place to enjoy the lively Fremont scene with its spacious beer garden. 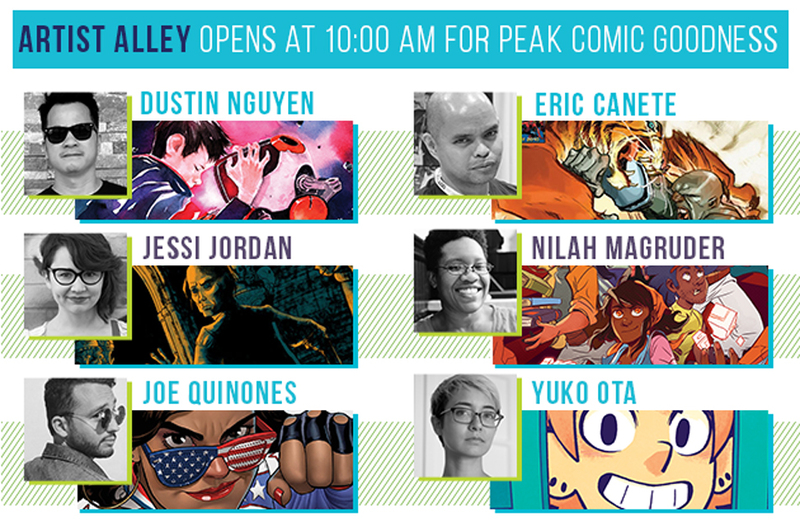 Save me a spot and maybe I’ll come by and have a beer and chat about comics with you.